Maps – What Does The Fox Says? Waking up in the early morning of a Saturday where the sky is still dark, Prof Kristy, Shoki and I made our way to Tanam Jurong Market on 21st Jan 2017. Singapore have a long history of hawking and Hawker Centre is intertwine as part of the history of hawking. As mentioned in Eating Together, “hawker food, traditionally, is street food”. This is due to poor living condition of immigrants at that time that make cooking near impossible. The Chinese street food was then developed to cater for them. They would form a cluster in the streets or next to a coffee shop for mutual benefits. In 1950, a Hawkers Inquiry Commission was established to look into the “problems” of street hawking. Some includes hygiene and traffic congestion, yet there is definitely a demand for cheap meals for the masses (episodically when it is just less than 10 years since WWII ended). Thus illegal hawking would persist until late 1970s. During the trip, we tried out 2 recommended dish by local celebrity food blogger and activist, Dr Leslie Tay: Bak Chor Mee and Lor Mee. 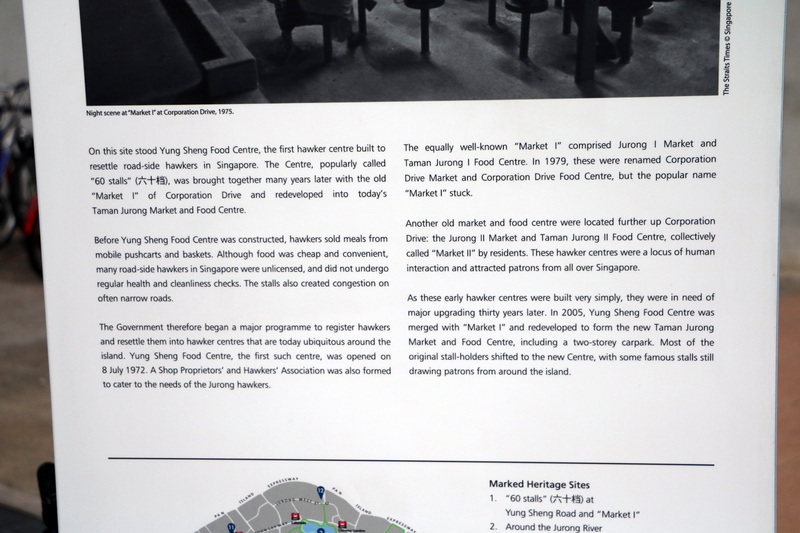 We also learned that Taman Jurong Market is part of National Heritage Board’s Jurong Heritage Trail. Of course, when it comes to the topic of Hawking, there is much to discuss. Such topic would include the reluctance of younger Singaporean to take up hawking as a profession, and the dying hawking culture. 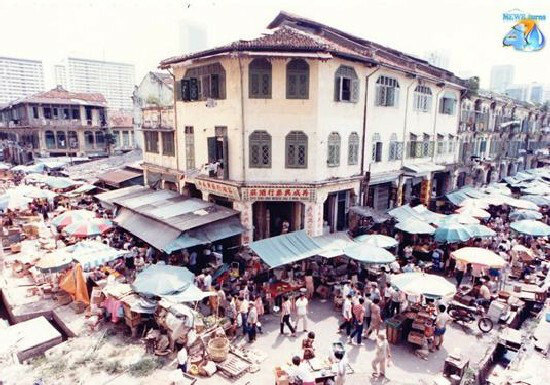 But for now, Taman Jurong Market can be considered a living museum. Duruz, Jean; Gaik, Cheng Khoo. 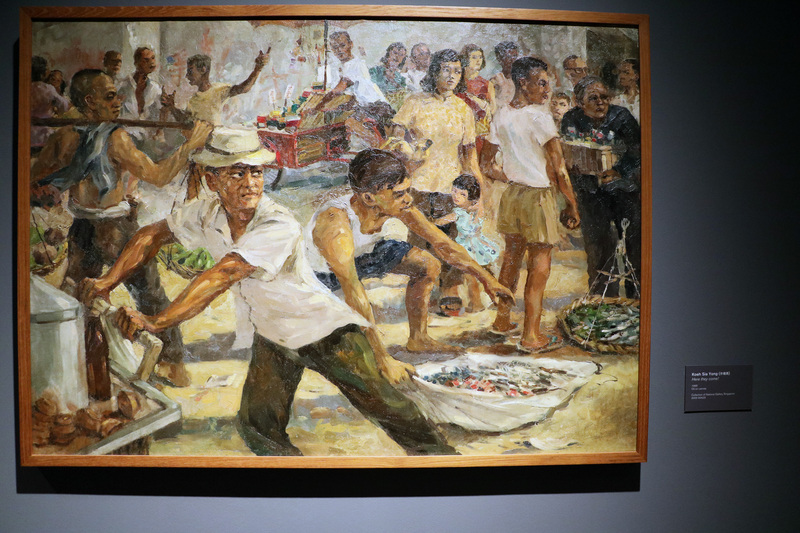 “Chatper 4: Growing Up Transnational” in Eating Together: Food, Space, and Identity in Malaysia and Singapore. Pg 95-122. Strategic Information and Research Development Centre (SIRD), 2015.